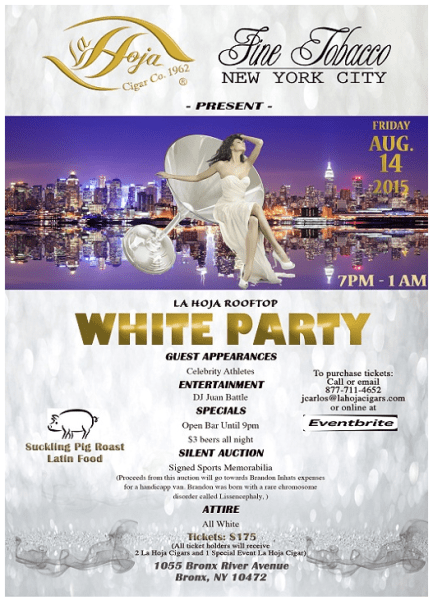 LA HOJA CIGAR CO. 1962 & FINE TOBACCO NYC~ROOFTOP WHITE PARTY!!! This year we will be alongside special guests Celebrity Athlete invitees, and we will be holding a Silent Auction on SIGNED ~Sports Memorabilia~ to raise funds for Willie’s Grandson, Brandon! He is in need of a special handicap van folks, let’s help him out! DJ Juan Battle will be jamming with us all night long! Catered Latin food, a Suckling Pig Roast, Desserts by Sugar Popping Sweets and open bar until 9 pm with $3 beers all night long! Come on out and celebrate a wonderful evening with us. EVERY TICKET HOLDER will also get 2 La Hoja 1962 Cigars and 1 EVENT ONLY “LA HOJA” Cigar not released to the public! 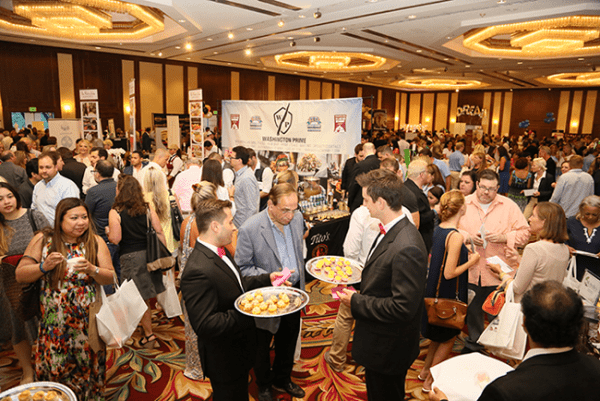 This year marked the eleventh anniversary of Moffly Media’s Best of the Gold Coast Connecticut which celebrates and honors the best of everything that Fairfield County has to offer from restaurants to retailers, spas, caterers, bands and much more. The highly anticipated event was held on Thursday, July 23, at the Hilton Stamford and showcased the winning products, goods and services of Moffly’s annual readers’ and editors’ survey. Since its inception, Best of the Gold Coast Connecticut winners have been chosen by the readers of Moffly Media’s five award-winning town publications and are announced and featured in the July/August issues of Westport, New Canaan-Darien, Fairfield Living and Stamford magazines, and the July issue of Greenwich magazine, all of which hit newsstands on July 1st. This year’s readers’ and editors’ survey received a record-breaking 86,000 votes! Weeks of voting and extensive planning culminated in an evening of excitement and fun. 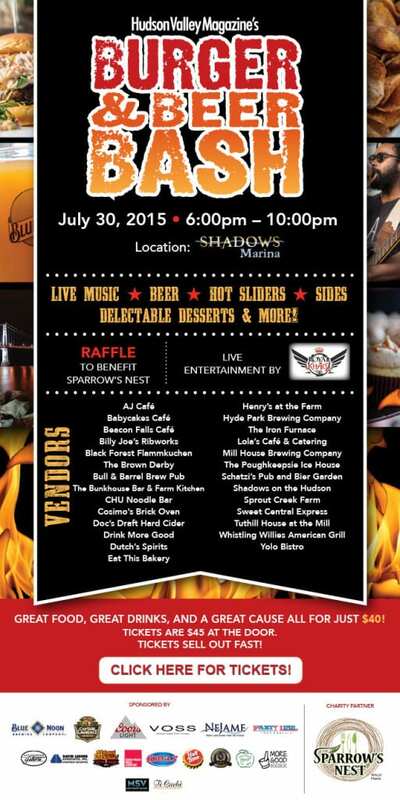 Sunday, August 2, 2015 from 3 to 6pm Riverhead Elks Lodge It’s almost time for our fabulous BBQ with live music by Joe Hampton & The Kingpins!! If you haven’t gotten your tickets yet, you’d better do so now! August 1, 2015 The Chardonnay Run™ is a national 5K wine racing series! We focus on serving up fun – not to mention wine and cheese – to participants looking to grab their friends, put on their running shoes & enjoy a glass of wine. The race is only half the fun – a glass of wine, yummy pairings, grapes, live music, food trucks / vendors, and your best buds are waiting for you at the finish line! We encourage you to bring a picnic, blanket, and chairs to kick back and relax. No outside beverages please. Why T in your cup? For over 20 years, New York City’s most discerning restaurants, hotels, spas, retail shops, museums and other institutions have loyally featured T Salon products and for good reason. T Salon is local and sustainable. Our teas are sustainably sourced and shipped from all over the world to our New York City office where they are carefully hand packed. In our everyday operations, we work hard to be mindful of our impact on the planet. For instance, all T Salon packaging is comprised of 100% recycled paper, printed with vegetable ink and produced using wind power whenever possible. Our teas are packed in non-GMO sustainable tea bags, stringed and tagged in glass mason jars for retail stores. T Salon is active in the community. T Salon strives to promote health and well-being in the community at large. We support many charitable and community-oriented organizations such as Urban Zen, Vital Voices, V Day, Power Shift, Clinton Coalition for Haiti, and the Tibetan Aid project.